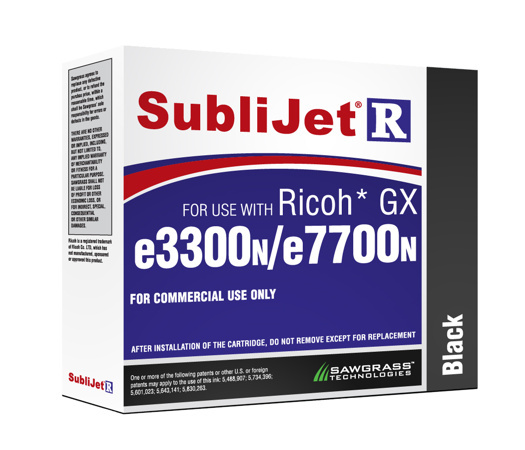 Offering both 29ml regular and 60-68ml extended-capacity GXe7700n cartridges, SubliJet-R is a high-viscosity, high-yield sublimation ink formulated to produce vibrant, high-resolution images with Ricoh’s GELJET line of inkjet printers. All Sublijet-R inks are environmentally friendly, water based inks. The new higher viscosity formulation of these sublimation inks is designed to work exclusively with the Ricoh print head.